My most common nightmare as a child was becoming voiceless when a thief was coming outside our doorstep. I did have occasionally, though, a huge frying pan to protect me although nothing bad ever happened. Nightmares can be quite common in childhood but there are different reasons that they choose to appear in our adult lives as well. Sometimes, the reason can be as simple as overconsumption of fatty and greasy food while other times and especially when the nightmares recur, it can be a sign of an emotional turmoil that is expressed through our unconscious mind in the form of nightmares. In any case, using essential oils for nightmares is a good way to have better control on your emotional wellbeing as well as achieve a better quality more restful sleep. This way, you can deal with some of the effects or causes of nightmares including sleep deprivation and exhaustion related to poor sleep. There are many reasons for nightmares in adults and it is good to know about them prior to forming any plan of action when it comes to dealing with those nightmares. Experts say that sometimes nightmares are a reaction of our mind to everyday stress or a reaction to a form of anxiety or depression that roots to a more complicated health condition such as an unresolved traumatic experience. Different types of stress can negatively affect our mental and emotional wellbeing. Some of the most common ones are those that relate to work overload, our children´s health or household responsibilities. There are also other stress and anxiety factors that are triggered by conditions such as a visit to a doctor, travelling by plane or public speaking in front of a large audience. Stress disorders like PTSD can also be a risk factor for night terrors and nightmares. Addiction to alcohol, caffeine or nicotine and certain medication can have an effect to the brain and whatever affects the brain can affect the quality of your sleep. Extreme fatigue and sleep deprivation can lead to nightmares but it can also work the other way round. Nightmares can lead to poor sleep and exhaustion, a vicious cycle overall. Can Essential Oils Help With Nightmares? When inhaled or diffused in the air, essential oil scents affect the limbic system of the brain that controls memory and emotions. By inhaling essential oils, you can have better control over those stressful emotions that cause nightmares. There are various essential oils that can help you feel more relaxed, calm and grounded. If you feel that stress, anxiety or depression are the main causes of your nightmares, it is better to inhale certain essential oils that help with these conditions throughout the day and at night, you can also inhale or diffuse essential oils that are good for sleep and relaxation. Some essential oils are well known for their relaxing, calming and sleep inducing properties. In those cases that nightmares deprive you of adequate and good quality sleep, oils can help you fall asleep easier and enjoy a deeper more restful sleep. Certain essential oil scents may be linked to positive memories of your past. For example, lavender oil might be connected in your mind to a special person in your life. So, during periods that you have a restless sleep or nightmares, scents that are personally connected to heart-warming memories can infuse you with feelings of positivity and hope. Essential oils for bad dreams can not only be used during the day if the underlying reason for the nightmares is stress, or before going to bed in order to induce good sleep. They can also be used when you wake up from a nightmare in order to remove the focus away from the bad dream so your mind feels lighter and you go back to sleep more easily. I like to see essential oils as carriers of nature’s wisdom, so I feel that by inhaling essential oils, this primitive type of connection with nature that we all carry within us but modern times have alienated us from is somewhat kept alive. I also think that the more connected we are to nature, the calmer and more grounded we can be, and this is a feeling that can help us achieve healthier sleep patterns and more pleasant dreams. Do Essential Oils Make You Dream? This is not an easy question to answer mainly because there is no scientific evidence backing the hypothesis that essential oils can cause dreams. Also, the human brain and psyche is very different from one person to another let alone the life conditions that affect the way our brain works daily. Generally, there have been cases of people who have reported seeing more lucid and sometimes unusual dreams when using essential oils. So, is there a connection between essential oils and dreams? Here are two ways that might help us make a safer assumption. First, we know that inhaling essential oils activates the limbic system which is connected to emotions and memories. So, by activating this part of the brain, we may assume that this brain activation may lead to the formation of dreams. Second, essential oils can help you get deeper sleep, a state that is often linked to seeing dreams or more vivid dreams. Can Lavender Essential Oil Cause Vivid Dreams And Nightmares? As one of the most popular essential oils for relaxation, calmness and promoting good sleep, lavender oil (Lavandulaangustifolia) can relax the mind so you fall into deep sleep. Sometimes, deep sleep can lead to vivid dreams but there is no scientific evidence that lavender oil can cause nightmares. But beware! According to the English Aromatherapist, Nuala Wilkes, there is another side to the coin. If too much lavender oil is used, it can have the exact opposite effect. Lavender can become a stimulant, so in this case, less is more! A couple of drops for sleep will be enough. It is also recommended that when choosing to buy lavender oil for its relaxing and sleep inducing properties you pay close attention to the latin name of the product. Lavender angustifolia is the one that has relaxing properties. Other types of lavender such as spike lavender (lavandulalatifolia) has stimulating properties and can cause irritability. Also, lavendin (Lavandula x intermedia) is not especially relaxing. Personally, I am not a big fan of lavender. Although I have experienced the sedative properties of this floral oil, it does not give me the kind of deeper relaxation and calm Frankincense offers. Chamomile Roman oil is one of my favourite oils in my basic care kit due to its many benefits both to the physical and emotional body. Due to its high Ester content and other chemical constituents, it is good for calming and soothing the nervous system, so it is one of the best oils for stress and anxiety relief. This harmonizing essential oil has also been traditionally used as a great natural solution to aid sleep and it is gentle enough to be used for children who have problem sleeping or toddler tantrums. Whenever I diffuse chamomile roman in the air, I get this feeling of relaxation and inner peace, which follows me all the way to the bed if I use it before sleeping. In her book, The Fragrant Mind, Valerie Ann Worwood, recommends Chamomile Roman for cases of addiction, aggression, anger, anxiety, nervous and emotional exhaustion, burn-out as well as fear and depression. If you are suffering from any of the above conditions and you have recurring nightmares, Chamomile Roman may be a good solution. You can inhale, diffuse or even make a skin rub to use before sleep or any other time. Chamomile Roman oil also has great anti-inflammatory properties, so you get additional benefits if you suffer from topical pain or any inflammatory skin condition. Mandarin oil is a pure joy to smell and is a favourite scent for both adults and children alike. Its sweet refreshing aroma is uplifting and revitalizing but at the same time the oil has calming properties. That is why mandarin oil has been historically used to steady the central nervous system as well as in cases of anxiety and migraines. Mandarin´s sprightly and soothing gentle energy can be very useful for people suffering from nightmares due to emotional trauma, anxiety, depression or grief. 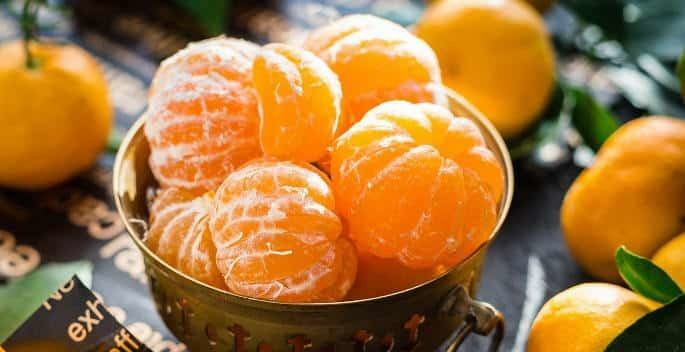 Mandarin is also a very good oil to use for children’s nightmares and good sleep since it is very gentle and its lovely aroma is certainly not one that anyone could object to. For a good night sleep and pleasant dreams, diffuse some mandarin oil to all the bedrooms before going to bed or you can set the timer for your diffuser to work during the night as well. By diffusing essential oils you really enjoy inhaling, you can prevent recurring nightmares naturally because your brain is stimulated by a smell that you have a positive connection to. Of course, lavender oil could not be missing from this list of the best essential oils for nightmares. The main reason is that many studies have shown the positive effect that lavender has on sleep and sleep quality in adults. Other studies exhibited lavender’s aromatherapy benefits for insomnia, sleep issues and disorders, anxiety and depression. Undoubtedly, lavender is one of the most popular and widely used essential oils, and has been historically used for a large number of wellbeing issues including depression and insomnia. Lavender oil is surely an oil you will want to use if you suffer from nightmares effects such as deprivation of sleep, fatigue and exhaustion due to its ability to promote sleep. In addition, it can help you deal with some possible causes of nightmares such as stress, anxiety, tension, trauma or shock. Nevertheless, it is important to remember that only a couple of drops of lavender are needed to promote sleep, otherwise lavender can become a stimulant. Valerian oil is probably The most relaxing oil but one of the stinkiest oils on earth. If you are suffering from insomnia or sleep deprivation due to nightmares, it is one of the most effective essential oils to use due to its strong sedative and central nervous system depressant properties. Valerian oil has also been traditionally used for anxiety, depression, restlessness and stress. Its unpleasant smell makes it a difficult oil to use for topical application or diffusion, but if you are brave enough, you can mix it with strong floral oils to mask the odour. Use it only when you are sure you are going to bed. Don´t mix it with alcohol, because it is highly possible that you will have nightmares. Frankincense oil can be good for nightmares if the cause of nightmares is anxiety. I have recently mixed it with Chamomile Roman and Lavender, and it has worked wonders! It literally took seconds for my hubby to fall asleep and believe me, it is a very rare thing for him to fall asleep in seconds. Frankincense is a wonderfully and deeply calming essential oil without being sedative or overwhelming. It is also said to relieve respiratory complaints, opening the airways, and has a reputation for nourishing mature and dry skin. Rose Otto is a loving, harmonizing and comforting essential oil. It is lovely to smell and has been used and adored for thousands of years especially by women. 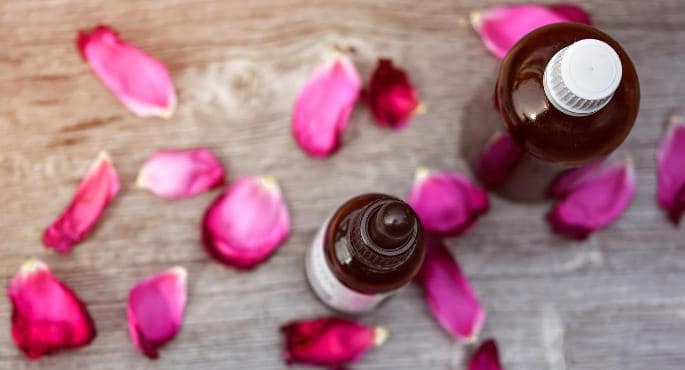 Historically used as a euphoric oil and an aphrodisiac, rose oil is said to help with love issues such as a broken heart, fear of loving or of not being loved. It has a calm and nurturing energy that can be healing when dealing with grief, abuse, anxiety, anger and depression. Rose oil can help with nightmares that are caused by a traumatic experience, love problem or grief. It is also traditionally used for mature types of skin to provide nourishment. I was drawn to basil essential oil intuitively because at a specific period of my life I felt that Basil scent was the one that I needed to smell. So, when I heard Cathy Skipper, a licensed aromatherapist and herbalist, talking about basil oil and explaining how Basil is good for letting go and cry, I was blown away because I realized that the reason I was drawn to Basil should have been my need to release certain emotions. In her book, The Complete Guide To Clinical Aromatherapy And Essential Oils For The Physical Body, Elizabeth Ashley, a licensed aromatherapist and author, mentions that Basil oil has been traditionally used for cases of nervous insomnia, anxiety and mental fatigue. It clears the mind and is good for headaches and migraines. If you feel that you are suffering from emotional stress, have trouble sleeping, and you find that when you finally manage to sleep, you have nightmares, Basil oil can be a useful oil to use. You can blend it with other essential oils that promote calmness such as Chamomile Roman, vetiver, rose otto and neroli. Valerie Ann Worwood also recommends basil for cases of addiction and since addiction can be a cause of nightmares, Basil oil can be a beneficial essential oil for nightmares. You can inhale essential oils throughout the dayto keep you more positive and grounded if the causes of your nightmares are due to stress, anxiety or depression. Keeping a positive mind frame during the day by following different practices such as use of essential oils, meditation, exercise, good diet and other healthy habits will help you remain positive and calm when you go to sleep, so there is less probability to see nightmares. Insert the wick in the tube and drip the essential oils on the cotton wick using the mini dropper that usually comes together with your personal inhaler. Let the oils absorb into the wick for a couple of minutes and your blend is ready to use. Alternatively, you can add some drops of this blend to a tissue and inhale. Topical application of essential oil blend recipes onto the skin through massage has a double effect. It is relaxing since it combines massage hand movements but it is also a quick way for the essential oils to reach the bloodstream and have the effect that they are meant to have. For pleasant dreams and good sleep, you can rub the blends on the chest, at the back of your neck and upper back, or apply onto the temples of your head. Here is the recipe I use for my hubby. If he has a cough, I also add thyme essential oil to the blend. Diffusing essential oils for good dreams and sleep works well for relaxation and is great at promoting a restful night sleep. Diffusing can be a bit tricky if you are living with others because everybody has their own preferences regarding what they perceive as a pleasant scent, but there are scents that almost everybody likes such as citrus fruits. Also, there are scents that are not overwhelming and people don’t react negatively to them such as Chamomile. Some nice smelling essential oils for diffusion to promote relaxation and relieve anxiety and stress are Mandarin, Neroli, Sandalwood, Lavender, Chamomile Roman, Frankincense, Rose Otto and Cedarwood. Sometimes, there is nothing more soothing to the nerves than a long hot bath. Essential oils can make your bath more enjoyable by calming both your body and mind, and promoting a better quality sleep. Before getting into the water, make sure all the ingredients are well diluted. No more worries after that, just enjoy and let go! 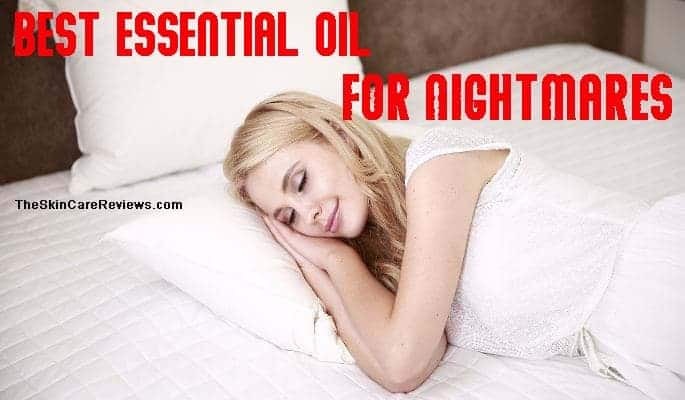 Essentials oils can help you with nightmares because they can help you deal with certain causes of nightmares as well as promote a deep better quality sleep. You can use essential oils throughout the day when the cause of your nightmares is stress, anxiety, depression or other issues as well as before going to bed. Studies have shown than Chamomile Roman is great for calming the nervous system and has been traditionally used for sleeping problems. It is also gentle enough for children’s use. Mandarin is lovely to smell and has both revitalizing and calming properties. It is often used in sleep blends for good dreams and can be helpful for people suffering from nightmares due to anxiety, trauma or depression. As probably one of the most scientifically researched essential oil, lavender oil is reported to help with insomnia, sleep disorders and anxiety, but beware! Lavender in large amounts can become a stimulant. Valerian essential oil is the most relaxing essential oil. It has strong sedative properties and can depress the central nervous system. Its very unpleasant scent, though, makes it difficult to use unless you blend it with aromatically intense and pleasant smelling essential oils. Frankincense is one of my favorite oils for sleep and good dreams. It is deeply relaxing and eases breathing when inhaled or used topically. Rose Otto is a lovely comforting and harmonizing essential oil that can be useful for nightmares caused by traumatic experiences, grief, fears, anxiety or depression. Basil essential oil is clearing to the mind and can help with nightmares caused by addiction, emotional stress or mental fatigue. There are different ways to use essential oils for nightmares including inhalation, diffusion, topical application or simply enjoying their calming and sleep inducing properties as part of a deeply relaxing warm bath.